Mariah Parker won a seat on the Athens-Clarke County commission by only 13 votes. 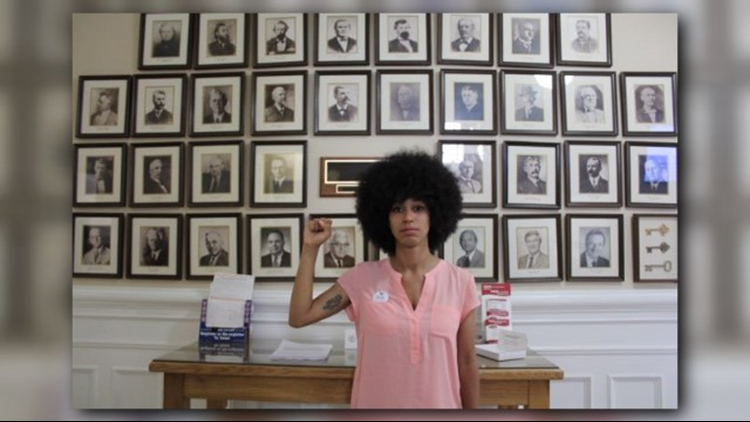 ATHENS, Ga. -- A 26-year-old UGA doctoral student who recently won an Athens-Clarke County commission seat by only 13 votes has gained national attention for her swearing-in ceremony. 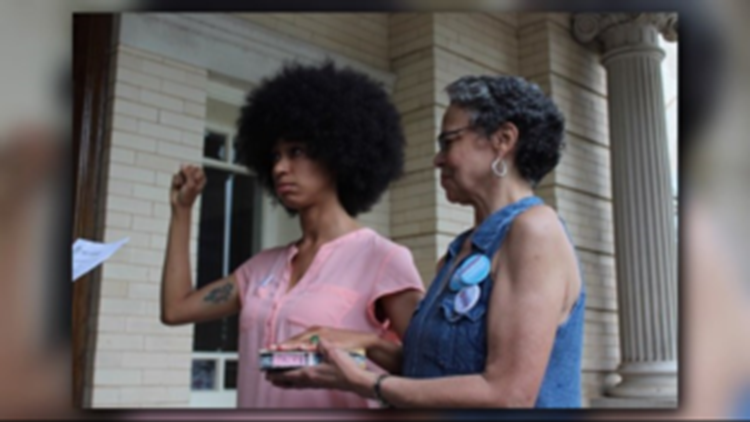 Mariah Parker raised her fist and took the oath of office with her right hand on Alex Haley’s autobiography of Malcolm X on Tuesday. "I really didn’t foresee the attention that would come from doing something that I just felt like was right, and expressed who I am as a person, and what I think it means to be a political leader,” Parker said. Parker won a seat that was vacated by Harry Sims, who held the seat for 25 years. She defeated Taylor Pass, 28, grandson of the late civil rights activist Evelyn Neely, earning 638 votes to Pass’ 625. While Parker said she’s been threatened for her actions and subjected to racial slurs and questions about her character, reactions have overall been supportive. Parker's mother held the book for her daughter during the ceremony, which was officiated by Probate Judge Susan Tate. Parker chose the book because “Malcolm X came from difficult circumstances, and had to overcome the insinuations of a society that made him feel as if he had nothing to contribute. Parker also has a music career as a rapper who goes by Linqua Franqua. She is performing in a local music festival in Athens this summer. Parker has a long long list of visions she has for the community from marijuana reform to affordable housing, but isn't sure what carried her to victory by such a small margin.